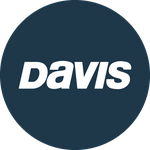 Davis Instruments Support, FAQs and Troubleshooting - Does the Doel-Fin affect the top speed with the added drag? All Categories ​>​ FAQ ​>​ Marine ​>​ Does the Doel-Fin affect the top speed with the added drag? The affect on top speed is minimal. Most people do not notice a drop off in top end speed. Some customers have noticed a 2% drop. Where is the best position to install the Doel-Fin? What are the advantages of using the Doel-Fin?